Lundy Bancroft is one of the world's leading experts on domestic abuse, and the author of several best-selling books. Bancroft will lead two workshops in October of 2016, one geared towards professionals and one open to the public. Registration is now open. Registration runs from 9 to 9:30 a.m., with the workshop starting at 9:30am and running until 4:30 p.m. Registration cost covers lunch. Lundy Bancroft is the best-selling author of several books, including "Should I Stay or Should I Go?" and "Why Does He Do That?" GRAND RAPIDS, MI—The Grand Rapids community welcomes award-winning author and domestic violence advocate Lundy Bancroft for a day-long workshop and evening presentation on Thursday, Oct. 20, at Thousand Oaks Country Club. Geared toward attorneys, judges, social workers, police officers, psychologists, clergy, and other professionals who directly and indirectly work with victims of domestic violence, the Workshop to End Domestic Violence will cover topics including safety and intervention, how abusers go undetected, and best practices for those dealing with the perpetrators and victims of domestic abuse. It runs from 9 a.m. to 4:30 p.m., and the cost is $25, which includes lunch. CEUs will be offered for an additional fee. An evening session with also be available from 5 to 7 p.m., and is geared towards the entire community. The free evening session will feature Bancroft speaking on reclaiming freedom from abuse as well as how the community can be transformed regarding domestic violence. Event organizer DAWN (Divorce Attorneys for Women), along with local domestic violence nonprofits Safe Haven Ministries and the YWCA West Central Michigan, will address local support and resources for victims of abuse. The evening event will also include an opportunity to purchase Mr. Bancroft’s books and meet the author, speak to local organizations and support Safe Haven and the YWCA domestic violence programs through donations. “Lundy is the expert on domestic violence,” DAWN president and practicing attorney Kenneth Thomas Saukas said. Proceeds from the day-long workshop and evening presentation will go to Safe Haven and the YWCA of West Central Michigan. 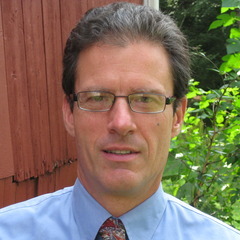 Lundy Bancroft is the winner of the North American Resource Center’s 2004 Pro Humanitate Literary Award for his book “The Batterer as Parent.” The Ohio native has written several other best-selling books, including “Should I Stay or Should I Go?”, “Why Does He Do That?” and “When Dad Hurts Mom”. DAWN is a Grand Rapids-based law firm devoted to helping women in difficult circumstances and emotional turmoil as they reluctantly face divorce and the often-associated matters of division of assets, child custody and visitation, support, and domestic violence and abuse. Kenneth Thomas Saukas founded the firm when he decided to change his family law practice to serve only women. Safe Haven Ministries is a Grand Rapids-based nonprofit organization dedicated to empowering women and children along their journey to find freedom from domestic violence since opening its doors in 1990. Founded in 1900, the YWCA West Central Michigan has focused its efforts on eliminating racism, empowering women and girls, and promoting peace, justice, freedom and dignity for all. Both organizations offer an array of residential and nonresidential services to victims and survivors of domestic violence. To find out more information about DAWN and the event, please visit its website.